Lanes School of Driving was established in 1914 by Mr Fred Lane and has been under the present ownership of Mr Keith Paine since 1976. Our core business is that of teaching people to drive up to the current driving test standard. We are currently celebrating our 100th Year in business – a wonderful achievement for any company and one which we are extremely proud of! Having grown from 4 cars in 1976 to nearly 100 today, we are one of the largest independent Driving Schools in the country -as well as one of the longest established. 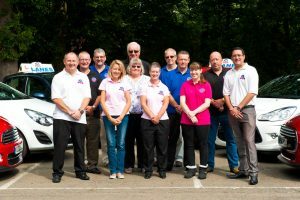 Our main purpose at Lanes School of Driving is to provide high quality training to anyone looking for a driving course. All of our instructors are highly qualified; many having originally trained with us to become DVSA registered Approved Driving Instructors. Using our years of driver training experience and a professional approach we have devised structured driving courses to help you attain your goal, whether it be as a driver or an instructor. Take a look around our site, we have driving lessons to suit every need, theory test training and intensive crashcourses. In our After You Pass section there is information on all types of post-test training. So if you are a newly qualified driver and want some more experience then look no further! Perhaps you are an experienced motorist looking for some self-improvement … we have the specialist driving course you’re after. Find our fleet, defensive and advanced training in our After You Pass section. 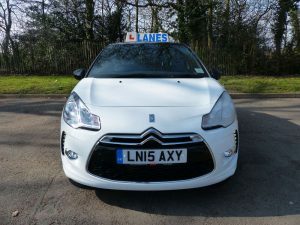 If you choose to learn with Lanes you can be happy in the knowledge that we will do our best to help you pass your test and become a safe driver for life. Lanes School of Driving has been teaching pupils to drive for over 100 years. Our school is well established in London, Kent, and Surrey. If you are local to us please give us a call today. Do not worry about making your way to your local Lanes driving school. We can pick you up from your front doorstep.